If you’re looking for some thrilling action and an adrenaline rush here on Easy, then look no further. 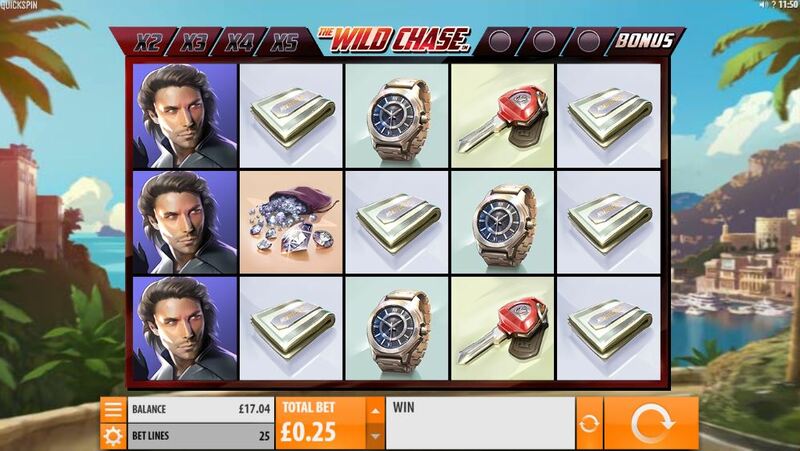 The Wild Chase takes you through the heartbeat of Monaco as you hunt for luxurious items and wads of crisp cash. Quickspin created this 5-reel slot and have provided 25 pay-lines for you to hit winning combinations. The Wild Chase has made a great impression since being released and that’s down to it’s slick design and lucrative bonus features. Take a ride through the sunny backroads and try to escape from the heist. Following a movie heist theme, you can expect some intense action throughout The Wild Chase. The base game is the start of the fast-paced madness and you’ll quickly identify which symbols you want to connect with. The lowest paying symbols are: Cash, rings, watches, car keys and diamond bags. The medium paying symbols are the four eye-catching antagonists of the dangerous heist. * RESPIN FEATURE – A winning combination on the base game will trigger the Respin FEATURE. The winning symbols will stay on the reels as the remaining ones respin. If you hit the same winning symbol on the spinning reels, they will stick for the next spin and the respins will continue until no more winning symbols appear. * FREE SPINS BONUS – The Free Spins BONUS will trigger if you connect with 3 or more Bonus SCATTERS. You’ll be credited with 10 free spins and during this bonus, each spin will come with a guaranteed Multiplier Wild. The Multiplier Wild will only come into effect if It’s part of a winning combination. 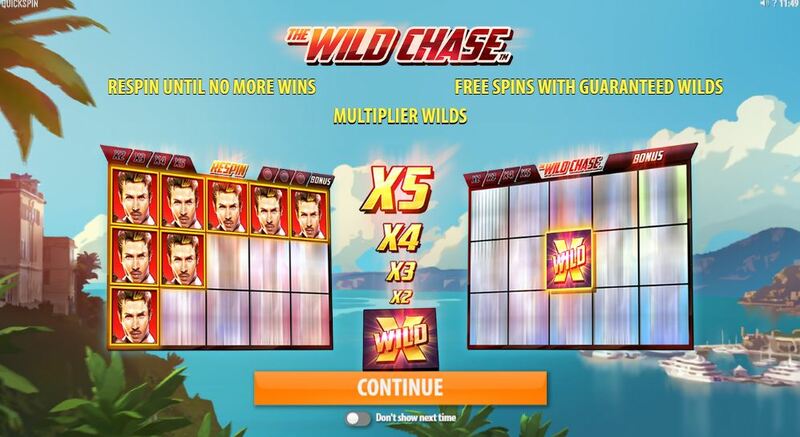 The Wild Chase is another monumental success from Quickspin. Once you’ve got to grips with the base game and its quirky features, you’ll be gripped. As designs go, Quickspin have somehow found more ways to innovate and take video slots to a new level.